Coloring on your shoes normally gets you a scolding, but this spring, it could get you $50,000. Have your high school art program sign up between January 2 and February 11 for Vans Custom Culture and work with your classmates to customize four of the iconic Vans styles: the Old Skool, 106 Vulcanized, Sk8-Hi and Classic Slip-On. Each pair should contain one of four themes: action sports, art, music or "local flavor" that reflects the school's region. 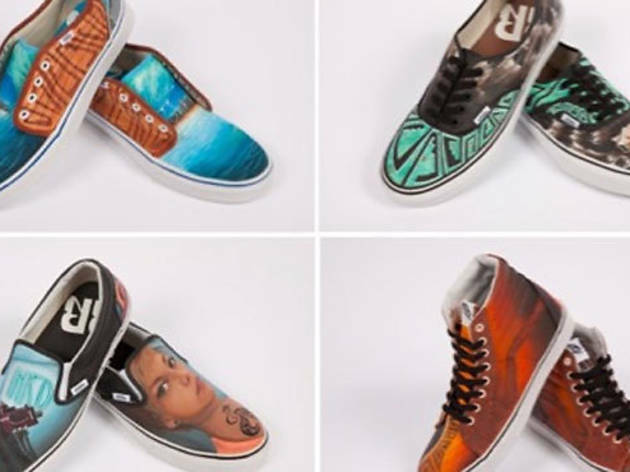 The shoemakers will then narrow down entries and post their favorites on the Vans website to be voted on by the public from April 22 to May 13. The top five schools are then invited to New York in June for a special event where the winner will be announced and awarded $50,000 for their high school art program. Last year's winning design, chosen from 900 entries, goes on sale this March in Vans stores and online.